Bhaswati’s first work of translation from Bengali into English–My Days with Ramkinkar Baij–has been published by Delhi-based Niyogi Books. This work also won her the Charles Wallace (India) Trust Fellowship for translation in 2009. Her stories have appeared in Letters to My Mother and My Teacher is My Hero— anthologies of true stories published by Adams Media. Bhaswati’s writing has appeared in several literary journals, including Cargo Literary, Cafe Dissensus Everyday, Pithead Chapel, Warscapes, Earthen Lamp Journal, Lakeview International Journal of Literarure and Arts, Stealing Time, Open Road review, Humanities Underground, Global Graffiti, The Four Quarters Magazine, Parabaas, Coldnoon, Stonecoast Review, and The Maynard. She has a background in journalism and writes for The Wire. She has also written for Daily News and Analysis, The Times of India, The Statesman and The Pioneer. 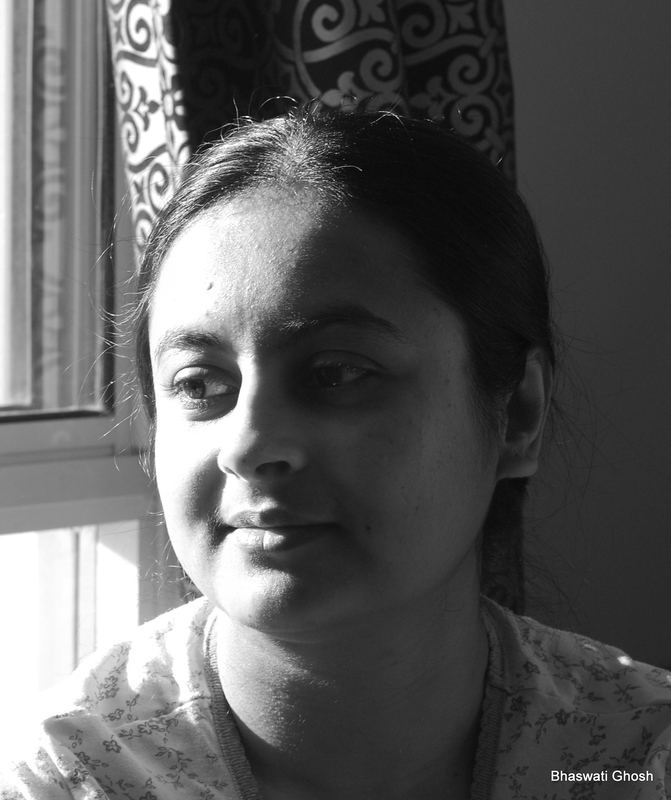 Bhaswati lives in Ontario, Canada and is the Editor at Large for Cafe Dissensus.